Whether you are already a volunteer, considering volunteering, or even just plain curious, check out the local training being offered under the Sooke Region Volunteer Centre’s “Recruit, Retain and Retrain” project. Free ‘Lunch and Learn’ opportunities means this training fits everyone’s budget. Discounts are offered to Volunteer Centre members, with further discounts when 2 or more volunteers from a non-profit organization register for the same workshop. Travel subsidies are available for residents from Beecher Bay to Port Renfrew who are travelling 20 Km or more. If there is enough interest we will bring training to the regional communities. October 27th (2 hrs) - Generative Boards: What is it we really do? Coordination and organization is well under way for the second Grand Cook Off collaborative fundraiser. Member organizations are invited to participate in this year's Project Serve Collaborative Fundraiser. SRVC will organize the event, provide the space, insurance, and supply our own volunteers on the day of the event. Project Serve is a joint effort of the University of Victoria and Volunteer Victoria which takes place each year in the fall. Volunteer Victoria members are invited to put forward proposals that would engage a number of university students from around the world in community service. Our proposal of a collaborative cooking event that would raise funds for more than one organization, and provide learning opportunities for the students, was well received by the organizers. It now remains to be seen how many university students will sign up, and how many local organizations wish to participate in the two related events we will be coordinating. 'Grand Cook Off II' and 'Recipes in a Jar' will take place Saturday, October 3rd, 2015 at the Sooke Child, Youth & Family Services Centre, 6672 Wadams Way. Read the full report on the first Grand Cook Off here. While only two organizations opted to share in the proceeds, 11 non-profits and 3 businesses and members of the public, all made contributions. Sooke Region Volunteer Centre will be hosting a booth at the annual Volunteer Recruitment Fair organized by Volunteer Victoria and the University of Victoria on Thursday, October 1st, 2015. "We have to aims when attending this event." says Marlene Barry, Volunteer Centre Coordinator, "The first is to showcase volunteer opportunities in the area we define as the Sooke region, from Beecher Bay to Port Renfrew. The second is to learn from the success this event so we can make the 5th Annual Sooke Region Volunteer & Non-Profit Fair a bigger and even more successful event. The annual Sooke Region Volunteer and Non-Profit Fair is held in conjunction with National Volunteer Week 2016 - April 10th - 16th. The fifth annual event will be held Saturday, April 9th, 2016. Please put it on your calendar now. We acknowledge that we got started with organizing a bit late last year and have learned lessons from that. We are gearing up now. The event is free for SRVC member organizations and also free for the public to attend. Fee free to share your ideas, challenges and successes with us. Member input is essential for us to effectively work on your behalf. Contact Marlene at sookeregionvolunteers@gmail.com or drop by the office to talk with one of our team members. This is where Sooke’s Applefest is held. How lovely to see the changes over 5 short years between these photos. These folks have done a lot of work, pulled together a lot of people, united people, brought funding into the community, and built social capital! To watch the video in the Sooke Pocket News click here. Applications are now being accepted for the fall intake of the 2015/16 Community to Community (C2C) program. C2C forums are about opening lines of communication and building relationships between neighbours. In this case, the neighbours are local governments and First Nations. Download the application form and guide here. United Nations General Assembly designated October 1 - International Day of Older Persons on December 14, 1990. 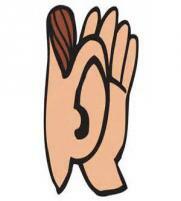 This year 25th anniversary objectives are to enhance the recognition and dignity of Older Persons. To recognize the need to strengthen solidarity among generations and intergenerational partnerships, and to encourage mutually responsive relationships between generations. 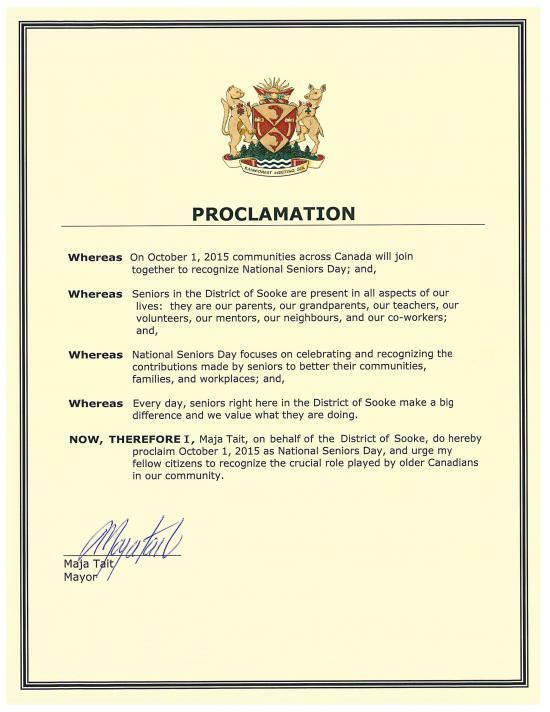 Mayor Maja Tait on behalf of the District of Sooke has proclaimed Thursday October 1, 2015 as International Seniors Day – to urge our fellow citizens to recognize the crucial role played by older Canadians in our community. Seniors in the District of Sooke are present in all aspects of our lives: they are our parents, grandparents, teachers, volunteers, mentors, neighbours, shoppers and co-workers. Sooke Elderly Citizens Housing Society and Ayre Manor Care Home are hosting an event in celebration of the day. There will be speakers, activities, music and refreshments, as well as an opportunity to mingle with the residents and guests. SEAPARC are offering free swimming, skating and fitness for 60+ on that day. 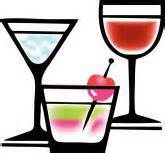 A few of the local businesses have special discounts for seniors on Thursdays. “We celebrate rising life expectancy in many regions of the world as one of humanities major achievements”- NGO Committee on Aging – United Nations, NY (Madrid 2008). Mayor Tait includes “every day local seniors make a big difference to better their communities, families and workplace, and we value what they are doing”. Sooke has also been designated as an Age Friendly Community and plans are ongoing to continue improving access and mobility for seniors. The Sara Spencer Foundation is now accepting applications for funding of programs. Criteria for applications can be accessed by emailing sspencer@enh.bc.ca. Deadline for submissions is Sept. 30th 2015. + Ally Award - $1,000 - This award will go to an adult, an organization or a grassroots movement in B.C that works to advance the rights of immigrant and refugee youth. Completed nominations (including additional supporting documents) must be received by 4:30pm PST on Tuesday September 22nd, 2015. Contact Vancouver Foundation staff at 1-604-688-2204 or email: freshvoices@vancouverfoundation.ca or visit their website. Nominations for the province's newly launched Medal of Good Citizenship are now being accepted for individuals demonstrating outstanding achievement, excellence and distinction in their field. The online nomination form is available on the website. Nominations must be received by the last Friday in September (September 25, 2015). will be held Saturday, April 9th, 2016. Please put it on your calendar now so we can make this the biggest and best event ever. The Community Connections Newsletter is an information source for all things volunteer and non-profit. We obtain most of our information on jobs in the non-profit sector from information received from Volunteer Victoria. These jobs could be anywhere in the lower island. For Sooke jobs, though not necessarily in the non-profit sector, we recommend SookePocketNews as the widest source of local job information we have seen compiled. The Burnside Gorge Community Association is seeking two part-time Supported Childcare Workers and a part-time Preschool Educator. The competitions will remain open until the positions are filled. Full job descriptions and application details are available on the BGCA's Employment Opportunities page. A Conference Coordinator Assistant, to work with the Conference coordinator on the 14th annual Gathering Our Voices Aboriginal Youth Conference. This is a contract position located in Victoria. The Conference Coordinator Assistant will work with the lead conference coordinator in the organization of all aspects of Gathering Our Voices 2016. A full-time Elders and Youth Coordinator. This person will have direct responsibilities for the BCAAFCs Elders Council and Provincial Aboriginal Youth Council (PAYC). James Bay Community Project's Family Centre is looking for an on-call program facilitator for our busy family drop-in program. On-call shifts from 8:30 to 11:30. $25/hour. Please send cover letter and resume to the Family Centre Coordinator Nancy Smith at nsmith@jbcp.bc.ca. Posting open until filled. See their website for more details. Come help shape the future of volunteering in our communities. Everyone welcome, bring your ideas and challenges. Lunch & Learns are free to participants. Bring your own lunch. We will provide tea, coffee & cookies by donation. Travel subsidies are available, by application, for those traveling 20+ km. All 2 hour workshops are on an sliding scale: General public $30.00; SRVC members & member org. reprs. $20.00; Two member org. reps. attending the same workshop $17.50; 3 or more $15.00. One (or more) representative from a local non-profit organization to help on one day for a share in the proceeds. As with last year, SRVC will organize the event, provide the space, insurance, and supply our own volunteers on the day of the event. Participating organizations will be asked to help where and when they can with sales. We have already booked a booth at the All Sooke Christmas Craft Fair in November to facilitate this. 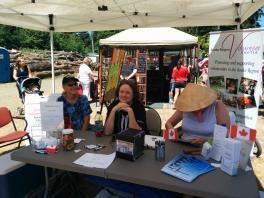 Yes, of course there were volunteers from across the Sooke Region at the Sooke Fall Fair. Where else would they come from? What we really mean as that we, the Sooke Region Volunteer Centre folks, were at the fair promoting volunteering in general, as well as specific needs and events. 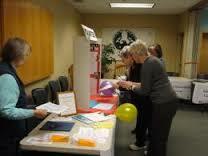 People took information from our display board of volunteer opportunities. One person in particular indicated they love to cook and have few opportunities to do so at home, she sounded like a good match for Sooke Senior Drop In Centre. Someone else stopped by to say they still intended to follow up but had not done so yet. One organization representative expressed interest in participating in the 'Grand Cook Off II' collaborative fundraiser Oct. 3rd at our offices whereby we will be canning and creating 'recipes in a jar' along with 10-14 UVic students. The resulting product will be sold and net proceeds share among the participating organizations. We found out the Cubs and Scouts are in desperate need of support. They have a long list of young people ready to join but not enough leaders and other support personnel, so the kids are left out in the cold, so to speak. We've offered to help spread the word. Lots of folk asked about the up-coming events displayed on our poster board, especially the Wadams Way Market, Family Fun Run, and AppleFest. Several families will be signing up for the Family Fun Run due to our presence and promotion! Generally people talked about their volunteering experiences, here and abroad, good and not-so-good. And a new members signed up with us. So, was it worth our while being out there, meeting people where people meet, instead of just having them come to us? Yes, we believe it was and time will tell how far the ripple effect has travelled this weekend. Thank you to the Sooke Fall Fair folks for allowing us to be there. The following release comes from the BC government. The original link is in the resources below. Following that is the Sooke connection to the refugee crisis: Rebecca Collard from Sooke is a journalist who is currently covering the refugee crisis in Hungary. 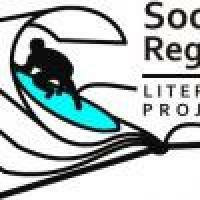 Do you have an unused garage, insulated shed, or other space the Sooke Literacy Book Bin Program could use to store and sort donated books? We will need to have regular access Monday - Friday in order to sort and redistribute the books. The Sooke Fine Arts Show converted to LED lighting this year, and we have roughly 450 halogen bulbs with some good life left in them for donation. They are 50-watt PAR 20s, for the most part, with a few 75 watt bulbs as well, if there are any groups in town that could make use of any number of them. We also have some large Coroplast signage that we have recently replaced, and thought perhaps they could be reused or repurposed by another group. We wanted to offer these things locally, first, before extending the offer more widely. I thought you may be able to help us identify potential recipients, or at least help get the word out to the NPOs in the region. Providing emotional and educational support, Carepartner Connect is a 6-week webinar group for carepartners of people with Parkinson's. Join us on Thursdays for discussions with carepartners and special guests from BC and Yukon. Topics include: finding thyself; story of an experienced carepartner; future considerations; advanced health planning; advocacy and proactive aspects of caregiving; reality of placement; and caregiver wellness. Location: Via webinar. Instructions on how to login and access these presentations on a computer with Internet access will be provided closer to the event date. As a result of creating this newsletter we have drastically reduced our email output. We hope you have noticed that. We have negotiated with the Sooke News Mirror for a quarter page, full colour ad at a reduced rate which we can pass along to our members. Regular cost is $279.99 plus taxes, Members can book this through us at $210 plus taxes. Through our 'Recruit, Retain & Retrain' project we are organizing workshops, developing outreach and expanding our potential to assist members and volunteers alike. Our membership with Volunteer Victoria enables us to bring out workshops that build and expand skills for non-profit leaders and volunteer managers - budget & board development, human resources practices, adaptive evaluation, planning, program design, grant writing and partnership exploration. Their facilitators are subject-matter specialists they've also all practiced in the sector. We are reaching out to regional expertise as well. All workshops will be open to any interested party of any age, though members will receive a discount which increases based on the number of people coming from any member organization. Workshops like these will likely never be as affordable again! We are also exploring bringing some of the training out to the regional communities of Beecher Bay, East Sooke, Otter Point, Shirley, Pacheedaht and Port Renfrew. What we can do will depend on topic and number of people interested. Give us a call and help us offer what you want, not what we think you want. Membership in SRVC provides you with a 30% to 50% discount in all our workshops, a reduce rate in advertising with the Sooke News Mirror and much more. We are spreading the word and reaching out to the over 180 non-profit organizations serving the area from Beecher Bay to Port Renfrew, reading studies on volunteer trends and techniques and sharing what we learn. As members you have a voice. Let us know what you need, what your challenges are, and how we can help. We can't guarantee everything but we will always do our best. Whether you are already a volunteer, considering volunteering, or even just plain curious, check out the local training being offered under the Sooke Region Volunteer Centre’s “Recruit, Retain and Retrain” project. The project is funded in part by the Government of Canada’s New Horizons for Seniors Program, and will not likely be this affordable again. Member organizations are invited to participate in this year's Project Serve Collaborative Fundraiser. SRVC will organize the event, provide the space, insurance, and supply our own volunteers on the day of the event. The SECHS Annual General Meeting will be held on Thursday, September 17th, 2015 at 7 pm in the Assisted Living Lounge at Ayre Manor Lodge. In order to vote at the AGM, your dues for 2014-15 must be paid at or before the AGM. Dues for 2014-15 are $10 per member. A Life Membership is $100. Membership brings you the right to vote at all General Meetings, and allows the Board to keep you abreast of what is happening at Ayre Manor. It also gives you an invitation to special community events at Ayre Manor. Leadership Vancouver Island is accepting applications for 2015/16. Project Management for Non Profit Organizations coming to Victoria. Free ‘Lunch and Learn’ opportunities means this training fits everyone’s budget. Discounts are offered to Volunteer Centre members, with further discounts when 2 or more volunteers from a non-profit organization register for the same workshop. Travel subsidies are available for residents from Beecher Bay to Port Renfrew who are traveling 20 Km or more. If there is enough interest we will bring training to the regional communities. We are developing a 'Recruitment Kit' which can be taken to events, coffee shops, etc. - anywhere people already get together. We need photos of people, head shots mostly, doing what they enjoy. Please share photos, with info on who to credit for the shot, for the tri-fold poster board we are having professionally developed. They need to be quality .jpg's of 2 KB's or better. Our graphic designer will choose from those submitted and we will let you know which ones we use. In addition to the eye-catching tri-fold board, the kit will contain such things as pamphlets, brochures, give-aways (pens, key-rings, etc. ), interview and sign-up forms, a list of the over 180 non-profit organizations in the Beecher Bay to Port Renfrew region, printed calendar of events, and a binder containing as many volunteer opportunities as we can locate. The intent is that the Volunteer Centre will bring this to as many opportunities as they can find and have capacity for, and member organizations can also borrow the kit for their own recruitment opportunities. Attention local social service and health agencies: the Sara Spencer Foundation is now accepting applications for funding of programs. Criteria for applications can be accessed by emailing sspencer@enh.bc.ca. Deadline for submissions is Sept. 30th 2015. According to Fire Chief Steven Sorensen on Twitter, there will be an information session on September 23 at 7:00 p.m., hosted at the Sooke Fire Station #1 (on Otter Point Road, beside the District’s office building). Following is the information as it appears on the District of Sooke’s website. Applications for Volunteer Firefighters are accepted all year round. Next recruit class is January 2016. Applications are available online, at Fire Station #1, 2225 Otter Point Road, or by contacting Assistant Chief Matt Barney, Training Officer at 250-642-5422. Training sessions for new recruit firefighters begin in January at Fire Station #1. When basic training is completed, successful applicants will be issued a pager and can begin attending emergency calls. Applications must be received in full before August 14th to be considered for the Winter Recruit class. After basic training, recruits become a “Probationary” firefighter. Prior to being a Probationary Member, each recruit must successfully complete a written and practical evaluation. Upon successful completion of probation, the new member becomes a “regular” firefighter and continues with regular Thursday night training sessions with their fellow firefighters. All new recruit firefighters are trained to the NFPA 1001 Standard through the Justice Institute of British Columbia. Once recruit members have achieved the NFPA 1001 Level 1 Standard, they are able to continue the process to become accredited NFPA 1001 Level 2 firefighters. There are some sponsored seats available. For more information check out the website here. Anne and I would be happy to discuss the program with you! Early Bird rate in effect. Check it out the excellent line up! Conference fees include Volunteer BC membership, Breakfast, lunch, coffee breaks and all sessions. For more information check out the website here. PM-Volunteers are pleased to be bringing our successful series of project management workshops for Non Profits to Victoria this fall. Designed specifically for Non Profit organizations, the day-long workshop will be led by experienced project management professionals who will introduce participants to project management processes & techniques. 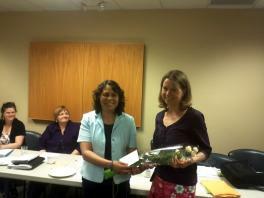 Included: workbook, access to online project management toolbox, Snacks, refreshments, and lunch. This article was prepared by Wild Apricot to help the volunteers and/or staff of small non-profits and membership organizations who may be new to the task of taking and preparing meeting minutes for committees or Boards of Directors. Please note that since the format, style and content requirements for meeting minutes varies depending on the organization and the type of committee or Board, this article offers only general guidelines to help get you started. Are you new to writing meeting minutes? Whether you’ve been tasked with taking notes for a committee or you’ve been appointed Secretary to the Board of your organization, preparing meeting minutes doesn’t have to be an arduous task. Here are some tips and ideas that will help you get started with writing and preparing effective meeting minutes. This meeting is open to anyone who is interested in learning about self-advocacy. For further information including the address you can contact us at selfadvocacysooke@gmail.com or call Astrid at 250-634-3020. 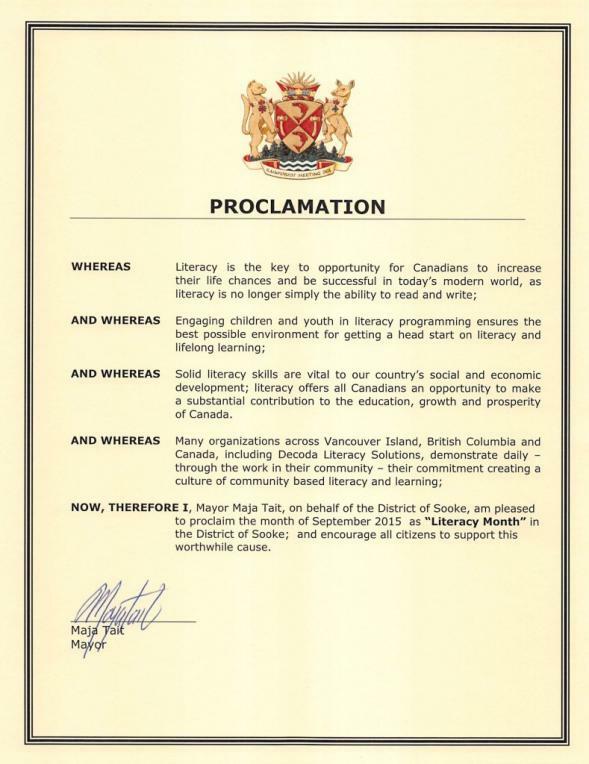 This announcement was recently published by the Government of BC in recognition of B.C. Day. Given that Sooke is renowned for its high volunteer participation, there are numerous Sooke citizens making a difference who would look good donning this bit of jewelry. The link to nominate a Sooke citizens making a difference for a Medal of Good Citizenship is listed in the resources below. The deadline for submissions is September 25, 2015. The Province is heralding B.C. Day by unveiling its new Medal of Good Citizenship. The medal features British Columbia’s shield, floral emblem and the words, ‘Generosity, Service and Selflessness’. British Columbians are now urged to consider good citizens making a difference in their communities and nominate them for this new honour. The front of the Medal of Good Citizenship features the shield of the province. On the back, a stylized version of B.C.’s floral emblem, the Pacific dogwood, and the words, ‘Generosity, Service and Selflessness’ are engraved to honour the kindness and generous acts of recipients. Nominations for the medal close on Friday, Sept. 25, 2015, and details on how to nominate individuals can be found here. In October AIDS Vancouver Island is hosting a free one day training and I hope you will take a moment to look at the info, and send the invitation out far and wide to your contacts. We are hopeful about building connections in the West Shore Community, and are looking forward to this opportunity. As a local professional working in partnership with AIDS Vancouver Island over the past decade I can attest to the incredible work being provided to folks across Vancouver Island. As the Harm Reduction Coordinator for Island Health, I am very pleased and excited to work with you and the broader community towards addressing the needs associated across: HIV and Hepatitis C, testing, treatment, sexual health, and harm reduction. The training on October 30th will certainly be a great opportunity to bring us all together to explore the issues facing what is most often our most vulnerable, marginalized and stigmatized members in the community. Click here to register. For local job opportunities the best source we have found is the Sooke Pocket News. The Child & Youth Health Network Collective Impact initiative is seeking a part-time Youth Engagement Coordinator. This is a new position starting at the end of September for 25 weeks with the possibility of continued employment subject to funding. 17 hours/week: $25/hour. Closing date is Monday, September 14th at 4:30pm. Full job description and application details are available on our blog. The Pandora Arts Collective Society, a community-based charity offering weekly art programming for all with a special emphasis on mental health and well-being, seeks a part-time Administrator. 4 hours weekly. $23-$25/hour depending on qualifications. Closing date: August 31, 2015. Details and information can be found on the Pandora Arts website. Greater Victoria Police Victim Services (GVPVS) is hiring for a on-call Relief Support Pager. The role of the Relief Support Pager is to support and supervise volunteers on pager shifts and to attend after-hour crisis calls with police. Qualified candidates are encouraged to submit a cover letter, detailed resume and 3 references by 4:00PM Friday August 14, 2015 via email to: Charli Winking, Program Director, charli.winking@gvpvs.org More info see here. Boys & Girls Club Services of Greater Victoria is hiring for their Community Clubs Program Leaders and Support Workers for September 2015. Details and information can be found on BGCSGV's website. The Victoria Sexual Assault Centre and Project Respect is looking to hire a new Prevention Coordinator - Deadline for applications is Wednesday, August 12th, 2015 at noon. Cook Street Village Activity Centre is hiring for a part-time Activity Assistant. Reporting to the Program/Volunteer Manager, the Activity Assistant will work with volunteers, programs, services, and other activities available at the Centre, ensuring the Centre's policies are observed. Work week to include Thursday evening and Saturday all day and other hours as assigned. More info can be found here. Oaklands Community Centre has a number of jobs coming down the line including Youth Lead, Out of School Care Activity Leaders, Out of School Care Program Lead and Supported Child Care Activity Leader. Here's the link. Bridging the Gap: How can we bridge the gap between what Canadians are looking for in Volunteering and how organizations are engaging volunteers? It’s not astounding though it is good news. At or near the top of the wish list for area non-profit organizations is funds (fundraising, grant seeking and grant writing). What is reassuring is that succession planning, volunteer management and engagement, board development and marketing are all up there as well, with some interesting suggestions of non-violent communication and capacity building added to the list. The Sooke Region Volunteer Centre’s “Recruit, Retain and Retrain” project is funded in part by the Government of Canada’s New Horizons for Seniors Program. We are looking for local expertise to facilitate workshops and trainings throughout the fall and winter. Our preference is for already developed workshops, though we are open to ideas. If you or anyone one you know fits this description, please contact us. We will also bring in trainers and as a member of Volunteer Victoria we are benefiting from their support and expertise. Our funding allows us to pay professional fees and honorariums, so we are not looking for volunteer presenters, though that of course would expand our options further! In addition to increasing the skills of existing volunteers, we are looking to engage people in new and improved ways. If you are not already volunteering, though have considered it, we want to know what is holding you back. Are there training or education opportunities you believe would give you the confidence to take action? With our current funding we will be able to offer bursaries and travel expenses to some attendees, as well as keep the program costs to a record low for everyone. If you are interested in having us work to bring training to any of the Juan de Fuca Electoral Area communities, please give us a call as well. We want to know what you want and need. If you haven’t done so already, please complete our short survey. To find out or share information please contact Marlene Barry, Coordinator, at sookeregionvolunteers@gmail.com, check out our website www.sookeregionresources.com, or stop by our office at the Sooke Child, Youth & Family Centre, 6672 Wadams Way Tuesday or Thursday 12:30 – 4:30 p.m. The Sara Spencer Foundation is a small foundation that tries to distribute about $11,000 annually amongst perhaps a dozen, small Greater Victoria agencies. Attached is the application information for this year’s grant application process. In the past the Sooke Food Bank, Sooke Residents in Need, CONTACT, Sooke Seniors Centre and others have benefited from small grants from the foundation. Otter Point resident, Arnie Campbell, is a foundation director and can be contacted if someone has a question. See the attached application and contact Arnie at d.acampbell@shaw.ca should you have further questions. The following is a synopsis of the Bridging the Gap Summary Report prepared by the Sooke Region Volunteer Centre. The motivations, interests and kinds of experiences individuals are looking for when considering volunteering change and evolve as Canadians move through the different stages of their lives. Now, more than ever, organizations need to understand and facilitate these shifts in order to optimize their volunteer recruitment and retention programs. The results show that fostering meaningful volunteer engagement in Canada today is not just a capacity issue, but also a strategic one that must evolve with the trends to meet the needs of both organizations and volunteers themselves. Accessing advice and support for clients with more complex tax returns from a chartered accountant. More than 20,000 people receiving BC’s disability assistance don’t file their income taxes regularly. This means they’re missing out on hundreds of dollars each year. For example, the GST credit, BC sales tax credit and carbon tax credit can provide an extra $400-$500 annually. Also, once people have filed their taxes they may be able to open a registered Disability Savings Plan (RDSP) with grants and bonds which can be worth thousands of dollars. This program is based on the lower mainland so SRVC asked how people in our region could access this program. Their response: When a client approaches us for assistance outside of the lower mainland, we can assist them provided that they can receive and send information either via email (requires access to a scanner), fax, or regular mail. We need to have them provide a few signatures to confirm their enrolment in the program. After we have that information, they can send us their tax slips directly or we can help them request tax slips from CRA and then file the taxes for them. If the client is unable to send information back and forth using one of the stated methods, we will work with them to find a tax clinic in our community. We are also very open to going to Vancouver Island and hosting tax clinics in the community if it becomes clear there is enough demand for us to do so. For more information contact: Sam Turcott, B.A., J.D., Tax Program Manager, Disability Alliance BC (formerly BC Coalition of People with Disabilities), 456 Broadway W, Vancouver, BC. Ph: 604-872-1278 / Fax: 604-875-9227 or visit Tax AID DABC’s website. Our goal is for people with disabilities to live with dignity and independence in the community. This is no doubt one of the best values around in time and dollars. Everyone is welcomed! Anyone from the general public can attend including Board-level volunteers, Managers of Volunteers, and Senior Staff from non-profit organizations. Attendees come from healthcare, social services, sport, education and other community groups. Participants include Board-level volunteers, Managers of Volunteers, Staff from non-profit organizations. Attendees come from all sectors including healthcare, social services, sport, education and volunteer driven community groups and organizations. Be a part of this great event! Early bird member rate ends – September 14. Conference Fees includes Volunteer BC Membership, all meals (breakfast & lunch), coffee and conference sessions. Executive Airport Plaza Hotel in Richmond, BC is a world class 4 star hotel and state-of-the-art Convention Centre. The hotel is close to transit and just 5 minutes from the Vancouver International Airport. Carpooling is encouraged so anyone interested in attending this conference can check in with us and we will connect interested parties together. Traveling together is a great opportunity to do more networking and brainstorming! Food has long been a great uniter. Whether it's families, friends, or some other collective, sharing a meal together just feels good, right, and true. Perhaps it was from this impulse that Sunday Soup got its start. At the heart of the matter is a meal that pumps funding into local projects. 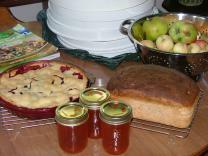 Small, local projects apply for a Soup Grant with the application deadline being dinner time. A group meal is sold to community members at an affordable price. Proceeds go into the Soup Grant pool. Diners are informed about the projects available to fund. Then they vote on which ones get the money from that particular meal. Done. In Budget 2012, the Government of Canada provided the Canada Revenue Agency (CRA) with more resources to help charities understand and respect the rules related to political activities. These rules have been in place for many years, and it has always been a part of CRA’s mandate to ensure that registered charities follow them. Because of the nature of their work, charities make a valuable contribution to public policy in Canada. The law recognizes this by allowing charities to devote a limited amount of their resources to non-partisan political activities related to their charitable purposes. The CRA’s program for auditing the political activities of charities does not change these rules, which are outlined in the CRA’s Policy Statement (CPS-22) Political Activities, published more than 10 years ago in 2003. The City of Victoria Youth Council is looking to hire a part-time Coordinator. 10-­15 hours/week. $18-­$20/hour (commensurate with experience). Coordinator is required to provide a range of supports such as strategic planning, event and project coordination and administrative support. Boys & Girls Club Services of Greater Victoria is seeking a full-time Human Resource Assistant and Volunteer Coordinator. The position is 40 hours/week at $38,680 - $40,760 annually, depending on qualifications and experience. This position closes at 12:00pm on July 27, 2015. Details and information can be found on BGCSGV's website. Artemis Place Society is looking for a Contract Youth and Family Counsellor September 1, 2015 - June 24, 2016. 35hrs/week, $20.50-$23.00/hr. Please see detailed job posting here and email application to info@artemisplace.org or Fax (250) 388-9153 by July 27, 2015. The Child & Youth Health Network is seeking a part-time Youth Engagement Coordinator. This is a new position starting on approximately August 20th, 2015 for 25 weeks with the possibility of continued employment subject to funding. 17 hours/week: $25/hour. Closing date is Tuesday, July 28th at 4:30pm. Full job description and application details are available on their blog. Greater Victoria Police Victim Services is now accepting applications for the position of Program Director. Applications will be accepted until 4:00 pm on July 30th, 2015. Please see job posting and description on their website. Oaklands Community Centre is looking for two candidates to fill a Market Coordinator position and a Community Development Coordinator position. Check posting of each position for detailed info. M'akola ILBC Housing Society - Jesken Aerie is hiring for a Full-Time Second Cook Position. Please see the Job Description for more info. Apply before August 4, 2015 @ 4:30 PM. SRVC Members: Do you want to go bigger on volunteer recruitment? October 1 is National Seniors Day. How Does Social Connectedness Affect British Columbians? SRVC Members: Do you want to go further afield on volunteer recruitment? If so contact us today. Through our membership in Volunteer Victoria we can get you listed in their weekly media column in the Times-Colonist at no cost! We will need a short paragraph on a current volunteer recruitment opportunity that your organization might have. The column appears in the LIFE section of the Times Colonist every Tuesday under the banner "Volunteer Opportunities". It also appears in numerous other local media outlets such as the Black Press and as PSA's on local television stations. Please submit your material on a Tuesday for publication the following Thursday. The Government of Canada is proud to pay tribute to the seniors who have helped build our country and continue to make valuable contributions to Canadian communities, workplaces and society. National Seniors Day is an occasion for all Canadians to appreciate and celebrate seniors. You will find tips and resources to celebrate the day and commemorate the seniors in your life on here. National Seniors Day is important because it formally recognizes and raises awareness of the importance of contributions seniors have made in shaping this great nation. I am from the Victoria Disability Resource Centre and we are holding a series of Positive Independent Living Workshops for people with disabilities. They range from how to use the computer to health and wellness and our completely free to attend. Our financial literacy and Transition into Your Pension Years starts next week so we are trying to find people to attend. You can visit our website here for all the information and how to sign up or call our office at 250-595-0044 and ask for Jessica (if not there leave name and number and I will return your call). Please share with anyone you think may be of interest. We are pleased to announce the release of the PlanH Social Connectedness Action Guide. This action guide is a useful resource for local governments, health authorities and community partners interested in building healthy communities by cultivating social connectedness and belonging. a stronger sense of community pride. Learn more with the following resources found on www.planh.ca. Explore additional articles, publications, links and examples of policy, planning, processes, partnership and programs here. The Social Connectedness Action Guide was developed by PlanH, a partnership between BC Healthy Communities Society and Healthy Families BC. Piper Allman, a 13-year-old cyclist from Sooke, is in her third race season. This season, Piper has taken first in all her downhill races, and is already the Vancouver Island Downhill Cup Women’s Expert Champion. She is poised to take the BC Cup in the under 15 Women’s category. To help offset costs, including ferry and fuel costs, camping fees and meals, a GoFundMe campaign has been started. To find out more, visit Piper Allman’s GoFundMe site. Encourage charitable donations and provide greater investment flexibility to registered charities. Help the most vulnerable in our communities through support for social housing providers. Enhance support for Canadians with disabilities and their families. Help Aboriginal communities reach their economic potential, including through achieving better education outcomes for First Nations and Inuit youth. Ensure that Canada’s international assistance efforts are aligned with broader priorities and lead to concrete results for the world’s poorest. Build stronger communities by bringing people together through shared artistic and cultural experiences. Recognize our natural heritage by promoting a safe and clean environment. Providing $150 million over four years, starting in 2016–17, to allow cooperative and non-profit social housing providers to prepay long-term, non-renewable mortgages held with Canada Mortgage and Housing Corporation without penalty. Enhancing support for Child Advocacy Centres across Canada. And people say there are no jobs in Sooke. The last stats we viewed in 2004 showed that 48% of the 'working population' of Sooke, worked in Sooke! It would be great to find out how those stats have changed in over 10 years. Sooke Pocket News has regular articles about jobs in Sooke. 5:30 - 7:30 at the Sooke Child, Youth & Family Centre, 6672 Wadams Way, Sooke. Come help us serve you better. What have we been doing well? What could we do better? Where do we want to be in the world of volunteer coordination and training, as well as non-profit sustainability? Everyone welcome, members and non-members. The BC Society Act is being repealed and replaced it with a new Societies Act. If your society is incorporated under the present Society Act you'll have two years to update your constitution and by-laws. Volunteer Victoria is organizing a workshop on this topic June 17, 5-7PM Join Ann Moskow and Claire Rettie as they walk through the key changes. Cost is $15.00 (plus GST). Contact us if you are interested as we may be able to arrange carpooling and get a group discount rate. This month, I want to share some very specific recommendations that are too often neglected in the volunteer recruitment messages I see, whether online or on paper. I've only listed ten here - please share your tips, too. 1.Be specific. You will always be more successful in inviting people to do something they can picture in detail than to ask them vaguely to "give us time for free." This means never starting a recruitment pitch with anything like "Volunteers Needed." To do what? If you doubt the importance of this, think about whether someone looking for a paying job would respond to a classified ad saying simply "Company XYZ needs employees." To do what? 2.Titles matter. I've just explained that "volunteer" is a pay category, not a work identifier. It also does not need to be an adjective in a title, as in "Volunteer Tutor" or "Volunteer Tour Guide." Unless you have a clear reason for calling attention to someone as unpaid, it's unnecessary to append the word volunteer to the role. Since we often recruit people seeking paid work experience, they will be more attracted to having a title that means something on a resume. In January 1997, UBCM and the First Nations Summit jointly organized the first province-wide Community to Community (C2C) Forum. This event brought together First Nations and local governments from across BC to discuss common goals and opportunities for joint action. The success of the event was due to a spirit of goodwill and an open exchange of concerns, ideas, and constructive viewpoints. There was consensus among the participants that regional C2C Forums should be supported. For most years, from 1999 to 2014/15, the provincial Ministry of Community, Sport & Cultural Development and Aboriginal Affairs & Northern Development Canada provided funding for the C2C program. The provincial government has continued to fund the program in 2015/16. In this time close to 500 Regional C2C Forums have been held in communities across the province. PlanH is pleased to announce the upcoming release of our new action guide for local governments, entitled “Local Government Action Guide: Social Connectedness.” To launch this new resource and to learn more about this important topic, please join us for a free online learning and dialogue session for local governments, health authorities and community partners interested in building healthy communities by cultivating social connectedness and belonging. The Healthy Built Environment (HBE) Linkages Toolkit, developed by the PHSA Population and Public Health team in partnership with the Healthy Built Environment (HBE) Alliance, is the first evidence-based and expert-informed resource that links planning principles to health outcomes. Intended to inform built environment design and decision-making, the Toolkit summarizes health evidence related to the five physical features of the built environment (neighbourhood design, transportation networks, natural environments, food systems, and housing). Read about what other communities across BC are doing in the PlanH Newsletter. Royal Roads University (RRU) is pleased to offer you an opportunity to be coached by one of our Executive Coaching students as part of their final exam process. The intention of these coaching sessions/panels is for students to demonstrate the International Coach Federation competencies learned during the Graduate Certificate in Executive Coaching program. Everyone wants to be happy, and increasingly, countries around the world are looking at happiness as an indicator of national well-being and considering happiness in policy making. As this year’s World Happiness Report states, “Happiness is increasingly considered a proper measure of social progress and a goal of public policy.” But what makes people happy, and which countries have the highest levels of happiness? For the World Happiness Report, researchers ranked countries based on factors including healthy life expectancy, social support, GDP per capita, the happiness of a country’s children, social capital, the civil economy, the absence of corruption, and subjective well-being. Open collaborations are more open, non-hierarchical, transparent, participatory, and non-owned. Examples are Burning Man, the Transition Town movement, Food not Bombs, Alcoholics Anonymous, gift circles, Wikipedia, open source software and the internet. Edward Milne Community School Society is seeking two Summer Literacy Camp Assistants for the Play & Learn Summer Camp. The camp helps children ages 6-9 improve their literacy skills in reading, writing, and math. This position aids Camp Coordinators in administering literacy activities and assessments to children who need assistance meeting grade level expectations. Sooke Fall Fair needs to hire two trained Flag people for traffic control on Sept. 12 and 13 during Fair hours. Please phone 250 642-0108 or email sookefallfairemail@gmail.com for more information or to apply. Read more. Under the supervision of the Aquatic Programmer, the aquatic worker lifeguards and assists in the delivery of public aquatic programs. The incumbent must be conversant with emergency procedures and able to respond accordingly. Employees are expected to be knowledgeable of the aquatic facilities rules and regulations and are able to implement the same while maintaining a co-operative and positive relationship with the public. The Men's Trauma Centre is looking for a part time Executive Director - this is a one-year contract position in a small non-profit organization. In addition to some administrative and leadership responsibilities, the successful applicant will be responsible for expanding the financial resources of this agency by increasing fund-raising efforts, building relationships with potential donors and funders, researching and writing grant applications and raising the profile of the agency in the community. Job description is available here. Please send cover letter and resume to alana@menstrauma.com. Pacific Peoples' Partnership (PPP) is looking for an accounting/bookkeeping firm or qualified individual to perform bookkeeping services beginning mid to late June 2015, with an annual contact agreement. If you are interested in this position, please review the information package online and please submit your CV and cover letter to info@pacificpeoplespartnership.org before June 19th, 2015 @ 5 PM. Pacifica Housing is currently filling two positions - Manager of Supported Housing Victoria & Manager of Supported Housing Nanaimo. The Supported Housing Managers are accountable for the successful and efficient operation of Pacifica's supported housing sites. For more information please visit here. Please complete Victoria Foundation's annual Vital Signs survey! Sooke Region Community Health Initiative (CHI) AGM June 2nd, 2015 6:00 p.m. The Government of British Columbia is providing one-time funding to eligible non-profit organizations for small community events that strengthen volunteer capacity for event hosting throughout the province. EventHostBC will provide a total of $250,000, divided among the six provincial tourism regions, to encourage events that are currently ineligible for other provincial government funding. Eligible non-profit organizations may apply for up to $5,000 per event. As long as the broader community can participate, the type of event is fairly open – it could be sports, arts or culture related, or some other creative idea supported by the community. Applications will only be accepted between May 19 and June 30, 2015. Grants will be awarded on a first-come, first-served basis, so please help get the word out to organizations within your community that might benefit from this funding. For more information check out their website. The Sooke Electoral Area Parks and Recreation Commission is undertaking a Strategic Planning study to determine facility requirements for the next 5, 10 and 20 years. The population in the Sooke region is expected to grow significantly in the coming years placing new and greater demands on the recreation facility. The study is examining options for short-term expansion and improvements plus the acquisition of more land; medium-term additions; and, long-term re-investment in facilities. 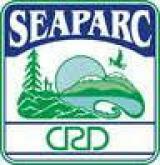 You and your family are invited to an information open house at SEAPARC located at 2168 Phillips Road, Sooke. On Tuesday, May 26 between 3PM and 8PM there will be an information display as well as SEAPARC staff, Commission members and their consultant there to answer your questions and hear your thoughts. We’re hoping you can give us a few minutes of your time on that day to help shape the future of SEAPARC and your community. Please feel free to share this invitation. “When we first started calling key senior volunteers we received feedback that we were stereo typing seniors by having a ‘tea’. They felt that something more fun and upbeat would show better appreciation. Suggestions of scotch and martinis made.” laughs Marlene Barry, SRVC Coordinator, “While we weren’t likely to be able to get a liquor license under our grant, we took the jesting feedback into consideration and came up with the Mock-tail Party.” There will be food, entertain and short presentations, as well as networking opportunities. Registration is required by June 5th so that we have enough food and drinks! We want to celebrate and appreciate everything seniors do for the Sooke region and this is our small way of saying thank you! We may be able to arrange carpooling or provide a travel subsidy for Senior Volunteers travelling from outlying communities (20 km or more). To register and for more information contact Marlene Barry, Coordinator, sookeregionvolunteers@gmail.com or call 250-642-6364 Ext. 235. It’s time for Greater Victoria’s annual checkup! If you live or work in the Capital Region (including the Southern Gulf Islands, Salt Spring Island, and Juan de Fuca up to Port Renfrew), take the 2015 Victoria’s Vital Signs® survey and tell us what you love about living, working and playing in Victoria. We’ve made the survey shorter this year, and, for the first time, you can complete it on your mobile device! Please share the survey widely. When you complete the survey before July 1, 2015, you can be eligible to win one of several gift cards to local restaurants. As many of you know, Grade 11 & 12 students are required to give volunteer hours to receive credits towards graduation. Students generally sign up in the Career Centre at the high school and it’s best to keep Susan Percival, Career Counselor, in the loop to monitor those. Community groups can submit student volunteer hours to Susan via email either in a separate letter per student or a “bulk” email listing event, date, times and student’s full names so she can document those hours in the data base. Typically organizations write a “Thank you” letter on letterhead to the student outlining the details of their volunteer hours, and forward that to Susan at school. The letter is filed in the students on–going Career Center file and can be used by them for other purposes (ie: job applications). The Sooke Night Market is set to begin again this year on June 4, and will run until September 3. For most weeks of the season, we have space for one community table for a local organization and I wanted to share this information in case the Sooke Region Volunteer Centre would be interested in a presence at market in the season this year. I've attached our guidelines and application form here, and our transferring over to our new website this week which will have additional information posted. Please feel free to review and email me with any questions and/or an expression of interest. We'd love to have you there this year! 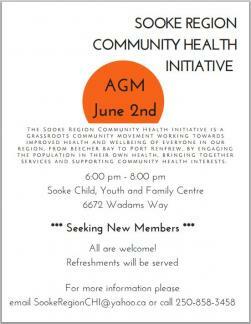 Sooke Region Community Health Initiative (CHI) Annual General Meeting June 2nd, 2015 6:00 p.m.
Sooke Region CHI invites community members to our Annual General Meeting (AGM) on June 2 from 6-8 p.m. at the Sooke Child, Youth and Family Centre (the CASA building), 6672 Wadams Way. All are welcome to hear about this grassroots initiative to improve health and wellbeing for us all. CHI is looking for new Board members for their Board of Directors. For further information about Sooke Region CHI, its AGM, or learning more about exciting opportunities with its Board, please contact the coordinator, Christine Bossi, at SookeRegionCHI@yahoo.ca or call 250-858-3458. The Government of Canada is committed to recognizing the enormous contribution volunteers make to Canada. The Prime Minister’s Volunteer Awards (PMVA) were created to celebrate the exceptional contributions that individual volunteers, not-for-profit organizations and local businesses make to improve the well-being of Canadian families and communities, and to highlight the best practices in community leadership that these outstanding volunteers have demonstrated. In 2013, 12.7 million Canadians, or 44 per cent of the population over the age of 15, volunteered their time, energy and skills helping not-for-profit organizations and communities deliver programs and services to Canadians. Volunteers devoted almost 2 billion hours to the benefit of others or the equivalent of about 1 million full-time jobs. For more information on the Prime Minister’s Volunteer Awards and highlights from the 2014 Exemplary Practices Session check out this page. We invite our members to come and have a say in what we are doing, as well as planning for the future. Our next general meeting is Wednesday, May 20th, 2015 from 5:30 - 7:30 p.m. (come for all or part - we seldom run late) at the Sooke Family Centre, 6672 Wadams Way. Art in the Park – August 19th? Meetings are held on the 3rd Wednesday of each month, except July, August & December, at the SRVC office from 5:30 – 7:30. The Sooke Region Volunteer Centre’s “Recruit, Retain and Retrain” project is funded in part by the Government of Canada’s New Horizons for Seniors Program. There is an intergenerational component as well. This means that many exciting things and events are to come. Our plans include various training workshops, networking opportunities, appreciation events and all around fun! We want to put this grant to a good use which means increasing seniors’ support and involvement in the Sooke Region, as well as investing in some community swag (Wii Fit fun for all!). Please help us make this an exciting year by filling out a short survey to help us determine what types of training events you want to see in Sooke this year! We will be working to keep workshops affordable with some planning, development and materials being donated, and also the time required for development and delivery, in some cases. If you would like to compare the value for an organization to go to RFP or contract this kind of work, the development and delivery of could easily be around $5,000-$10,000 per training. Please fill out our survey so we know what you feel your volunteers and organization need to be more confident and self-sufficient. There is room on the cheque to attach your or your funder's logo, for a custom look. You may have seen it in the Sooke News Mirror on November 26, 2014 at the 2nd annual Barney Bental Grand Cariboo Oprey fundraiser event. This community asset was funded by that event as well. The Grand Cariboo Oprey was a collaborative production by SRVC, Sooke Harbour Players, Edward Milne Community School Society, Journey Middle School String Band, and Mel Dobre. The completely dry-erasable cheque was beautifully crafted by Tony at Sooke Signs. To book use of the giant cheque contact the SRVC office 250-642-6364 Ext. 235, email sookeregionvolunteers@gmail.com or simply drop by Tuesday or Thursday afternoon to chat with us and see what else we have in the works. SRVC has negotiated a monthly article and a month advertising space with the Sooke News Mirror. The article, enttitled Community Connections, will showcase volunteering generally as well as special projects and activities. Members may submit information for inclusion in the article and we will endeavour to include something, space permitting. The first submission will appear in the May 20th issue. The advertising space can only be used for promotion of non-profit activities, so cannot be used by business members. The space is 7 columns by 4" in full colour. This space can be booked by members at our special negotiated rate. After reviewing the options further, and with the support of our parent organization, Sooke Region Community Health Initiative, we have taken out a one year membership with GrantStation. This is an on-line granting database which offers non-profit organizations, educational institutions, and government agencies the opportunity to identify potential funding sources for their programs or projects as well as resources to mentor these organizations through the grantseeking process. GrantStation provides access to a searchable database of private grantmakers that accept inquiries and proposals from a variety of organizations; federal deadlines; links to state funding agencies; and a growing database of international grantmakers. In addition, GrantStation publishes two newsletters highlighting upcoming funding opportunities, the weekly GrantStation Insider, which focuses on opportunities for U.S. nonprofit organizations, and the monthly GrantStation International Insider, which focuses on international funding opportunities. In this workshop, we reflect on our attitudes and beliefs about mental health with the hope of raising our awareness and understanding of people living with mental health concerns. Specifically, mood and anxiety disorders are examined, including a review of different supportive resources and coping strategies. Basic mental health fist aid skills are provided to empower anyone to be a "mental health first responder". Kristin as an extensive background in early intervention and crisis prevention, critical incident response, and trauma management. With the United Nations Report on Climate Change issued end of March 2014, this topic is of considerable interest to all. The Greenhouse Effect is impacting millions of people worldwide and the rise in ambient temperatures is leading to changes in traditional weather patterns. This lecture look at the causes of these changes and what the future holds for the Earth. Sooke and area non-profit groups are welcome to promote their events on Sheila Beech's fence at the corner of Sooke and Drennan Roads. Approved signs may be posted for up to 7 days and must not exceed 8' by 3'. 'Andrea's Garden' in the boat in front of the fence is maintained by the Sooke Children's Garden Club and is in memory of Sheila's daughter. There is a suggested donation of $10, all of which goes to keeping the garden colourful and inviting. The attached photo shows a sign which is 6' by 2'. After reviewing the options further, and with the support of our parent organization, Sooke Region Community Health Initiative, we have taken out a one year membership with GrantStation. This is an on-line granting database which offers nonprofit organizations, educational institutions, and government agencies the opportunity to identify potential funding sources for their programs or projects as well as resources to mentor these organizations through the grantseeking process. There is a new and exciting project on the go in our Sooke community. The project is called Sooke’s Water Park for Kids. Need for a Water Park in Sooke (or how this project came about). Water parks are a child’s idea of paradise on a hot summer day. As a parent of two small boys, I’ve been talking to other parents of pre-school kids for some time. It did not take long to realise that Sooke as a community needs a Water Park of its own. Right now Sooke and Shirley residents who want to take their kids to a Water Park have to travel to Langford. If you have access to a vehicle, it takes at least 30 minutes one way. If you do not, it will take much longer by bus with one or more than one small kid in tow. This does not sound like fun at all! Just putting a sprinkler in the back yard won’t necessarily work either. Guess what? For starters, not all parents have back yards. Benefits of having our own Water Park in Sooke are numerous. For example fewer cars will travel between Sooke and Langford. This will result in less congestion on the road, reduced consumption of gasoline and decreased pollution. How could a parent of a small child or several small children use the extra time that is not spent on getting to a Water Park in Langford? Maybe read a book with the kids? Cook a treat for the whole family? Take a much needed short break? The possibilities are too many to list. So where will we put our new Sooke Water Park? One of the obvious possibilities is to revitalize the old Water Park located by the Broomhill playground. This site is also close to a bus route. If the municipality of Sooke makes a decision to go ahead with the Water Park, we will have to determine the location, design, cost to build and costs to operate and maintain the facility. The Water Park will be free to attend and won’t cost a fortune to operate. To help with the costs, additional funding will also be sought from local private sources (like for example Sooke Rotary Club). Please let us know if you are interested in helping out in any way by completing this short survey. Voice your support for this project. Every little bit counts! Tell us what you think! We'll listen. We would like to know what you see as missing in the way of support for volunteers and volunteer based organizations. We really do! Please tell us. The folks at the Sooke Region Volunteer Centre will be arranging more training and workshops to present in Sooke, and maybe even some out to East Sooke, Otter Point, Shirley, Jordan River and Port Renfrew. Let us know what type of training would help you by filling in our short survey. With this information we will see where the biggest need and the greatest interest is, then respond to those. How much interest can be drummed up in your community? If there is enough we will see about bringing training to you! We have received funding to subsidize some costs to keep these workshops affordable for all, whether as an individual or organization representative. TechSoup Canada is a team of 8 people dedicated to empowering charities, nonprofits and libraries with the effective use of technology. TechSoup Canada is a program of the Centre for Social Innovation, a nonprofit coworking space, community and launchpad for people who are changing the world. Being a nonprofit ourselves, we understand all too well the challenges facing the Canadian nonprofit sector and we want to help. We can connect you to donated and discounted technologies through our technology donations program and provide valuable learning resources to equip your and your colleagues with technology tips and best practices. On April 25, 2015, a 7.8-magnitude earthquake centred 80 kilometres from the capital, Kathmandu, struck Nepal. Thousands of lives have been lost, with a large number of injuries and destruction of property and infrastructure. Although needs assessments are ongoing, it is clear humanitarian needs will be substantial. For every eligible dollar donated by individual Canadians to registered Canadian charities in response to the Nepal earthquake, the government will set aside one dollar for the Nepal Earthquake Relief Fund. The government will use the money set aside for the Nepal Earthquake Relief Fund to provide financing to international and Canadian humanitarian and development organizations responding to the disaster, through established Foreign Affairs, Trade and Development Canada (DFATD) channels and procedures. The new call for nominations is now open. If you know an individual, a business or a forward thinking not-for-profit organization that makes a difference in their community and deserves a Prime Minister’s Volunteer Award, you can nominate them until June 30, 2015. On March 18, 2015, 17 Prime Minister's Volunteer Awards recipients were honoured by the Prime Minister at a ceremony held in Toronto. Meet the recipients of the Prime Minister's Volunteer Awards. During their visit to Toronto, these exceptional award recipients participated in a session in which they shared their achievements and the exemplary practices in community leadership that have enabled them to contribute to their communities and succeed. The best solutions to the challenges facing Canada's communities are often found locally. For this reason, the Prime Minister announced the creation of the Prime Minister's Volunteer Awards to recognize the enormous contribution volunteers make to Canada. The Government of Canada also expressed its interest in looking to innovative charities and forward-thinking private-sector companies to partner on new approaches to many social challenges. The Prime Minister’s Volunteer Awards recognize the enormous contributions volunteers, innovative not-for-profit organizations and forward‑thinking businesses make to their communities through voluntary contributions and innovative ideas and approaches to address social challenges. Volunteering, charitable donations and philanthropy all play a key role in helping communities to address these challenges, and these prestigious awards are an opportunity to recognize the tremendous contributions of many Canadians who work together to improve the well-being of families and communities across the country. The Prime Minister's Volunteer Awards program consists of 17 awards in total, two at the national level and 15 at the regional level. The awards highlight best practices in community leadership and encourage partnerships across sectors. The goal of the awards is to inspire Canadians from all walks of life to find new ways of making a difference in their communities. You can find more information on the awards on their website. many are also not even visible in daylight? This is a real concern for emergency first responders who cannot help you if they cannot find you! As Sooke residents, you may be aware of recent emergency situation in Sooke that was hampered by poor signage. You can read the Times-Colonist article here. Team Enlighten consists of 7 participants in Leadership Victoria’s Community Leadership Development Program. Each year, participants in the program undertake a Community Action Project. We created Is Your Number Up? after consultations with Saanich Police and Fire Departments, Oak Bay Police, BC Ambulance, and CREST indicated that lack of clear signage is a serious hindrance to timely emergency response. Make sure you and your loved ones can be found when they need to be! 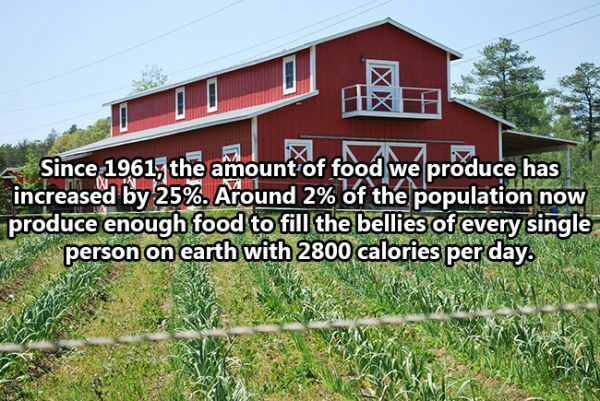 This information was submitted by, Christine Kenwood, Leadership Victoria’s Community Leadership Development Program.